It was a real treat performing at the annual Minnesota Bluegrass & Old Time Music Festival last weekend, one of the best run festivals in the country IMO (IBMA “Event of the Year” nominee multiple years). Of course, I had an amazing time playing with the Mark Kreitzer Band on Fri. and Sat. (we were really warmed up after the previous weekend in SD), but I also had some great adventures far from the main stage as well. 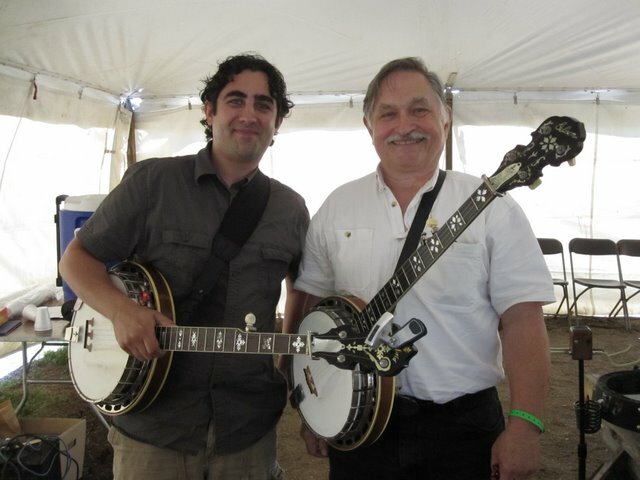 The highlight of the weekend for me was performing in the bluegrass banjo showcase with Bob Black, one of Bill Monroe’s Bluegrass Boys (as well as one of the best melodic, “Keith Style” banjo pickers out there today), what an honor! Other great offstage experiences included: hanging with my new friends in the Foghorn Stringband for another weekend in a row; teaching an advanced banjo workshop to a really nice group of pickers; playing drums at a drunken, country-fried, Ranch House afterparty (Clay Hess being among the pickers! ), and, it was my first time crossing party lines and camping with the Old-Time folks in “Sherwood Forest”– very hospitable people I must say (of course, I kept my finger picks in the case). All this and I got to see a bunch of great music on stage and off. 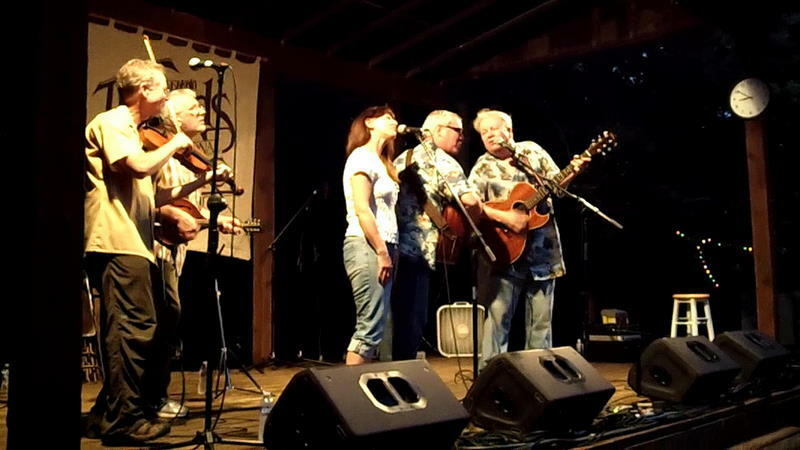 I really enjoyed playing with the Mark Kreitzer Band at the Sioux River Folk Festival this past weekend! Met and played with some wonderful musicians, including the Foghorn Stringband from Portland, OR and Carolina Story from Nashville, TN. Highlights included teaching a songwriting workshop with Mark as well as Emily and Ben from Carolina Story- those two have really amazing voices/harmonies and great songs. 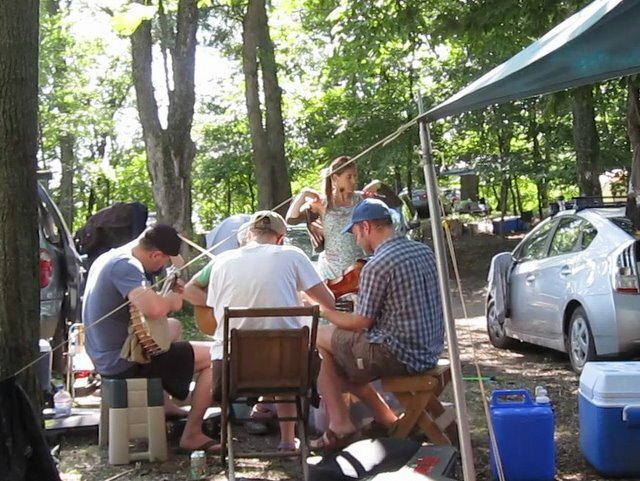 We were also lucky enough to lodge with the Foghorn Stringband, which was a blast, as we got to hang and pick with them the whole weekend, which, inevitably lead to an “uber-jam” with our two bands on stage to close out Saturday night– it was rockin’! I was also witness to a reunion of the Rocky Mountain Oysters, a South Dakota acoustic band that I had only heard of in legends. Both Mark and Tom Schaefer were members at one time and it was great to see them onstage having so much fun… and it was great music as well. Looking forward to next weekend at the MBOTMA fest where we’ll get to hang with Foghorn again, as well as all of our great friends in music! Posted byAnthony Ihrig August 9, 2011 June 23, 2013 Posted inMusical AdventuresLeave a comment on Sioux River Folk Festival!